Earth’s southernmost continent is a vast region of ice and snow, measuring roughly twice the size of Australia. 98% is permanently covered in snow, but it is by no means barren – abundant wildlife and spectacular scenery more than make up for the lack of vegetation. If you’re considering an Antarctic expedition, this handy guide will set you on the right path. From late October until late February, the sun remains above the horizon, delivering 24-hour daylight to its visitors and bringing warmer temperatures that melt the sea ice to allow access for expedition ships. It’s also the time of year when the Antarctic is alive with wildlife – penguin chicks are hatching, seal pups cover the rocks and whales move gracefully through the deep blue waters. Most ships depart from Ushuaia, the Argentinian city at the tip of Tierra del Fuego that is generally recognised as the world’s southernmost city. Flights operate via either Santiago in Chile or Buenos Aires in Argentina, so it’s a good idea to allow a few days to enjoy the sights of one of these vibrant cities. From here, it takes roughly two days to cross Drake’s Passage to the South Shetland Islands and the Antarctic Peninsula. Another option is to join one of the ships departing from either Hobart or the bottom of New Zealand’s South Island, but it’s a week-long voyage to the ice from here, so they tend to more suitable as a staging point for expeditions to the sub-Antarctic islands. Should I be worried about seasickness? Seasickness can strike anyone at any time, regardless of the conditions, but there are steps you can take to help: request a cabin near the centre of the ship, avoid rich food and excessive alcohol, keep an eye on the horizon, take ginger tablets and ask your pharmacist or doctor to recommend patches or tablets. Expeditions from Ushuaia spend much less time in the open sea than those departing from New Zealand or Australia, making them a better option for those who are prone to turning green. An otherworldly landscape of icebergs, their icy sculptural forms towering above you as you drift across a radiantly-blue sea, impossibly cute penguin chicks that look like short, round people dressed in fur tuxedos, pods of humpback whales cruising nonchalantly past your ship, and landscapes that will steal your breath away. Joining an expedition to the Antarctic calls for a dress code that’s unique to the destination: think layers of warm, light clothing made from a fabric such as lightweight merino, thermal underwear and socks, a warm hat, gloves and scarf, waterproof pants that will fit over layers of warm clothing and woollen jumpers or polar fleece jackets. 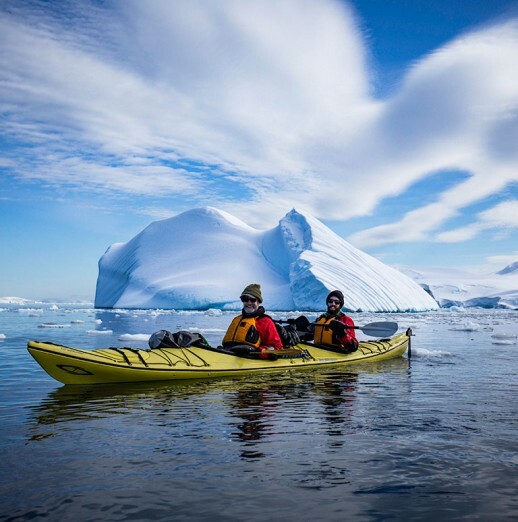 Operators generally provide their passengers with expedition parkas specifically designed for the environment, and some also provide suitable footwear for going ashore. The dress code while on board is generally casual – leave your cocktail attire at home and opt for clothing that is lightweight, warm and comfortable. Other useful items to include in your suitcase are a day pack for shore excursions, sunglasses with a high-quality UV filter, sunblock and a camera (with a dry bag) so you can preserve your memories. If you’re dreaming of visiting the Antarctic, ask your personal travel manager to help you turn this dream into a reality.